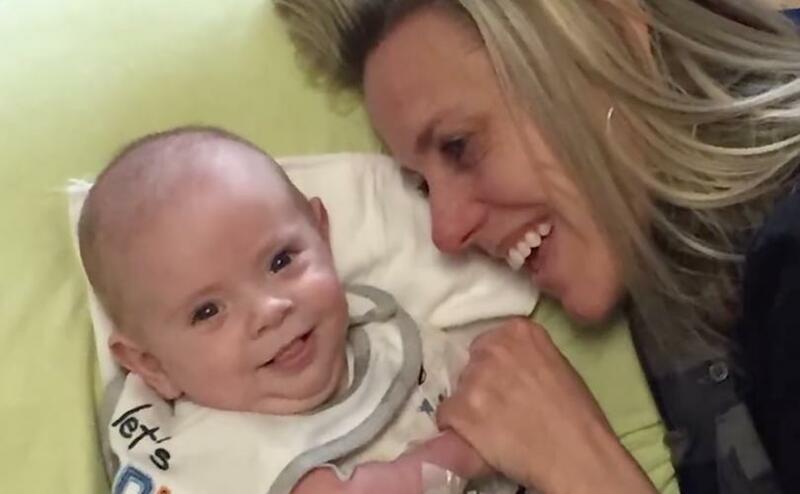 WELDON SPRING, Missouri, August 2, 2018 – A feel-good video about a Missouri judicial candidate’s nephew overcoming a severe birth defect is the latest to be rejected as “shocking, disrespectful,” and/or “sensational” under the social media giant’s controversial ad approval system. Chris McDonough is a municipal court judge and a Republican candidate for circuit court judge in St. Charles County. On his campaign website he touts respect for “God’s greatest gift – human life,” declares that a “judge’s role is to interpret and apply the law as it is written, not as the judge would like it to have been written,” and highlights the endorsement of social conservative leader and Eagle Forum president Ed Martin. As part of his pro-life messaging, McDonough has highlighted the case of his nephew Albert, who was prenatally diagnosed with congenital diaphragmatic hernia, a rare condition that can cause life-threatening breathing difficulties. His parents were told he only had about a 25% chance of survival. “Oftentimes, parents given this type of diagnosis are given the option of termination. But Albert was always our child, he was never a choice,” Albert’s mother said. As the video transitions from images of infant Albert in intensive care to footage of McDonough playing with Albert as a happy, seemingly-healthy little boy, she begins talking about the comfort and strength he gave the couple and their son. “Our brother-in-law Chris McDonough was one of the biggest supporters and one of the most special people on our journey, always telling us how things would work out in the end, to keep plugging forward, making us laugh all along the way, and now is perhaps one of Albert’s favorite people in the world,” she said. “We stand with Chris McDonough because he, like us, believes that a child is not a choice,” she concludes. When McDonough wanted to boost the video as a Facebook ad, however, he met a message conservatives have become increasingly familiar with over the past year. The message suggested that he could fix the problem by “removing this type of content from your ad and/or using a different image or video.” The video contains no violent imagery, insulting language, or anything harsher than benign affirmations of the sanctity of life. The word “abortion” isn’t even used. McDonough called out Facebook on Sunday for blocking another candidate’s pro-gun ad, and thanked Gateway Pundit on Tuesday for publicizing his own case. The restrictions are examples of what conservative critics say is part of the social media giant’s systematic discrimination against conservative voices, including algorithm changes that have been shown to disproportionately impact right-of-center publications over liberal ones. The scandal may be one factor contributing to the company’s current struggles in the stock market.